The Mahindra XUV300, which was revealed digitally on 19 December, will launch on 14 February. Moreover, the company has announced that its new Maruti Vitara Brezza rival will be available in 6 single-tone colour options - Red Rage, Sunburst Orange, Napoli Black, Pearl White, DSAT Silver, and Aquamarine. Bookings of the new model have been underway for a token amount of INR 20,000. 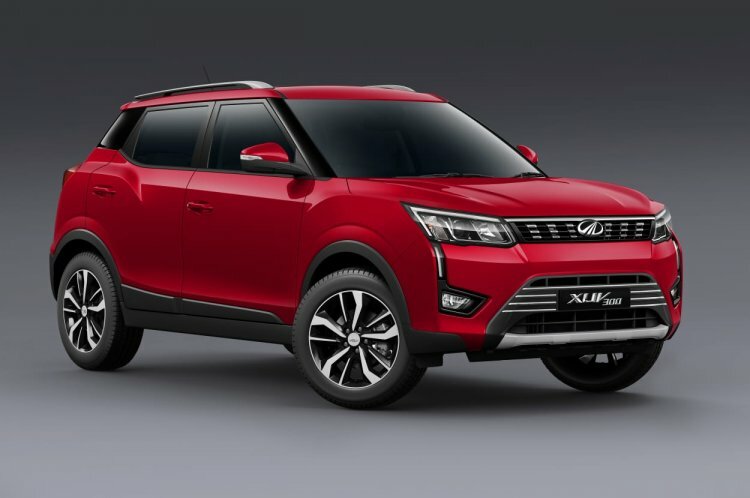 The Mahindra XUV300 will launch in South Africa within a few days of its entry into the Indian car market. The Mahindra XUV300 will go on sale with four trim options - W4, W6, W8 and W8(O). As per the manufacturer, all grades will feature electric windows, disc brakes on all wheels, dual front airbags, ABS, and LED tail lights. The top-spec model will even offer rear parking sensors, seven airbags, a touchscreen infotainment unit, and dual-zone automatic climate control unit. As claimed by the manufacturer, the petrol and diesel engine options of the Mahindra XUV300 offer class-leading torque outputs. The petrol motor, which is a turbocharged unit that displaces 1.2-litre, provides a peak torque of 200 Nm, while the oil-burner on offer is the Marazzo's 1.5-litre unit that produces a maximum torque of 300 Nm. For now, both the engines will come mated to a 6-speed manual transmission, but an AMT is likely on the cards. The Mahindra XUV300 is underpinned by the Ssangyong Tivoli's X100 platform and has an identical wheelbase of 2.6-metre. It may be noted here that the modern architecture has helped the Korean donor bag the 'Safe Car of the Year' award by the Ministry of Land, Infrastructure and Transport of South Korea. 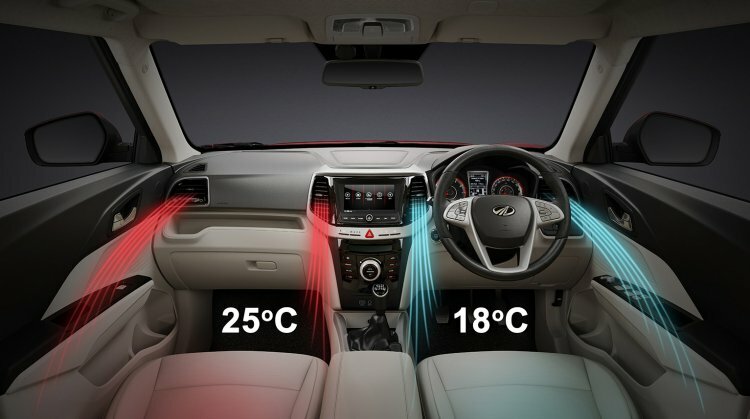 The Mahindra XUV300 will offer segment-first features like seven airbags and dual-zone automatic climate control. Other highlights include an electric sunroof, front and rear parking sensors, and four disc brakes. The Mahindra XUV300 will lock horns with well-established models like the Maruti Vitara Brezza, Ford EcoSport, and Tata Nexon. It will even rival the Hyundai Styx, which will reportedly celebrate its world premiere at the New York International Auto Show on 17 April 2019. A pure electric version is slated for a market launch in mid-2020.